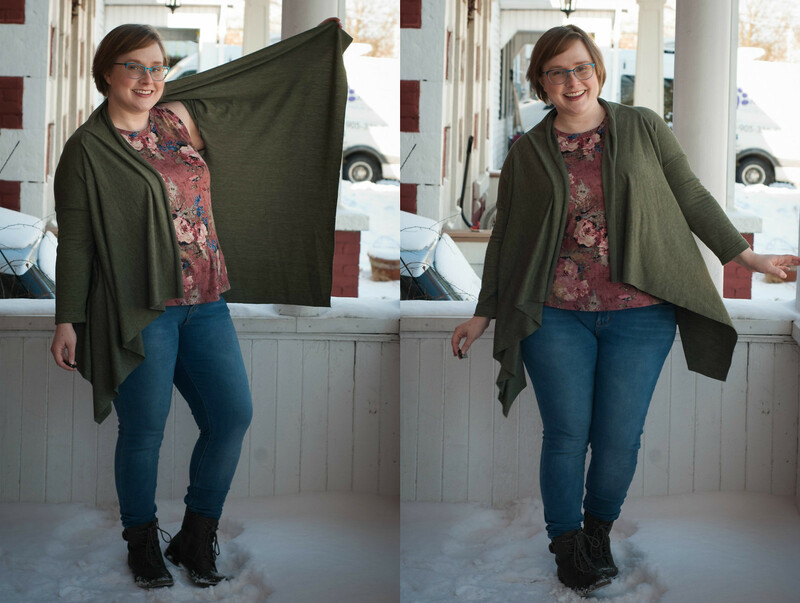 I recently passed on a whole bunch of too-small thrifted cardigans, and it’s time to restock my wardrobe! 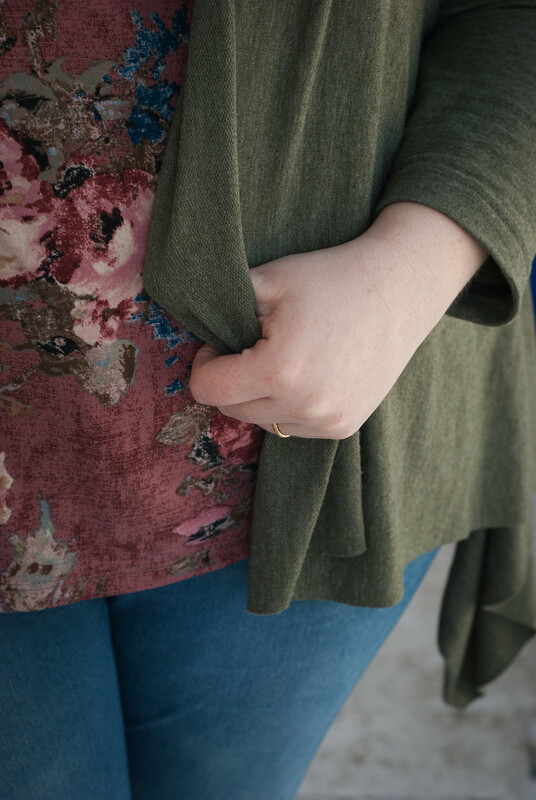 I wear cardigans all winter and all summer – they are a big part of my wardrobe! 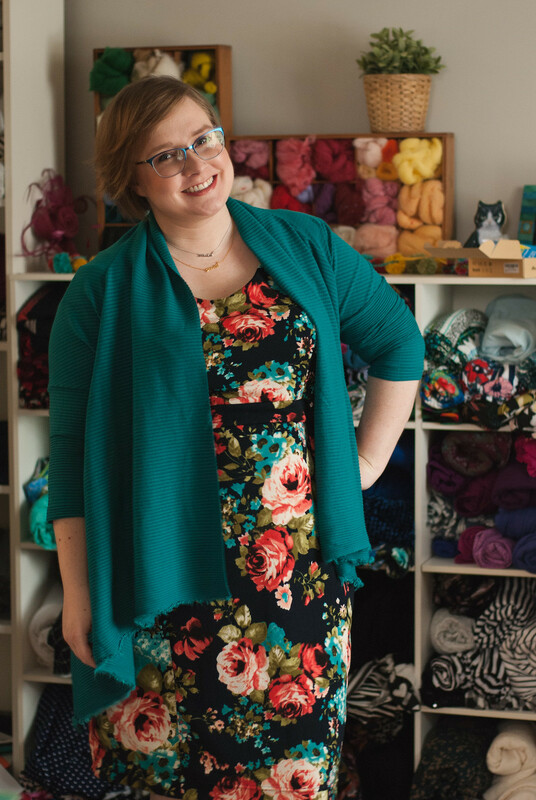 I figured it was time to try a Burda pattern that isn’t a sheath dress, so I bought this shawl cardigan pattern on sale. Let’s be honest, the model photo doesn’t show anything, but the colour sold me! The cardigan has some interesting seam lines, which don’t show at all in my versions, so have a look at the line drawing! As it happens, I like this second version more! It’s a rayon french terry, and it drapes closer to the body than my ribbed sweaterknit. You can see more detailed pictures of this green version in my post for the Cali Fabrics Blog. I actually took the turquoise one in several inches at the side seams after wearing it a few times, and now it hangs better. 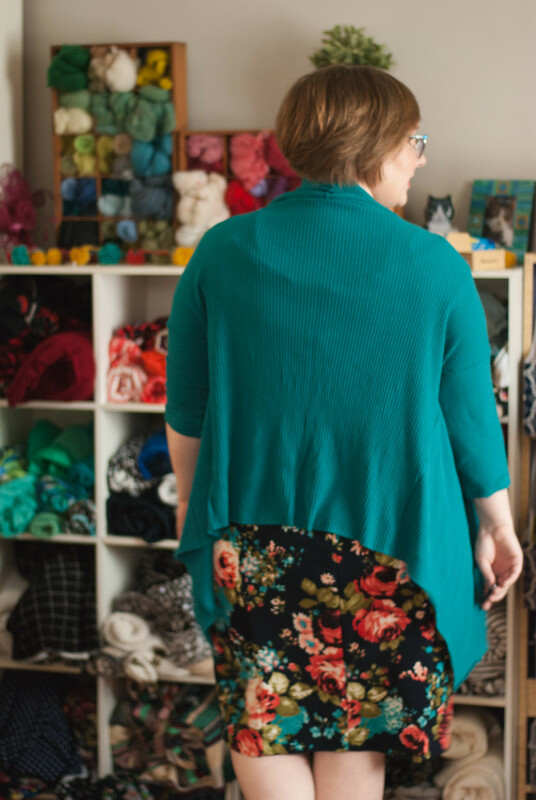 Best of all for lazy sewists everywhere, this is a great pattern to leave the edges raw! I’ve got a backlog of things to blog – I just haven’t been feeling it for a while, but I know that recording what I make always makes me feel free to sew more, so forgive me while I do a couple of short blog posts to catch up! Why have I not thought of doing a cute floaty sweater in French terry (nature’s perfect lounge fabric)?? But I gotta finish my latest (teal) Nikki first. And finish 3 knit projects. And learn to spin. And figure out how to manage my new makkin (knitting belt). Wow – I am so lucky to have so many things on the go! I love the frayed edge on the blue one here. The lines of this pattern are very lovely. BTW, how into Style Arc are you? They have, like, 5 of this style of sweater and I find the drafting to be very good – but the instructions are scarily non-existent. You are so talented and creative. I wish I had your nerve at your age to just drive in and do the things you do. Love your color sence and the way you get your clothes to fit just right! Keep sewing and enjoying the fruits of your labor. You, my dear, are an inspiration to all those who are unsure and afraid to take leap of faith and just go for it!! This looks so good! Love the colors. Mrow, is there anything better than a knit whose edges stay nice and flat? I prefer the olive, too, probably because I’m a huge fan of olive any time! Knits in general are just the best! And knits with rayon, even better and so well behaved! !